A Voyage of Discovery & Surprise! Eat. Play. Sleep. Repeat! 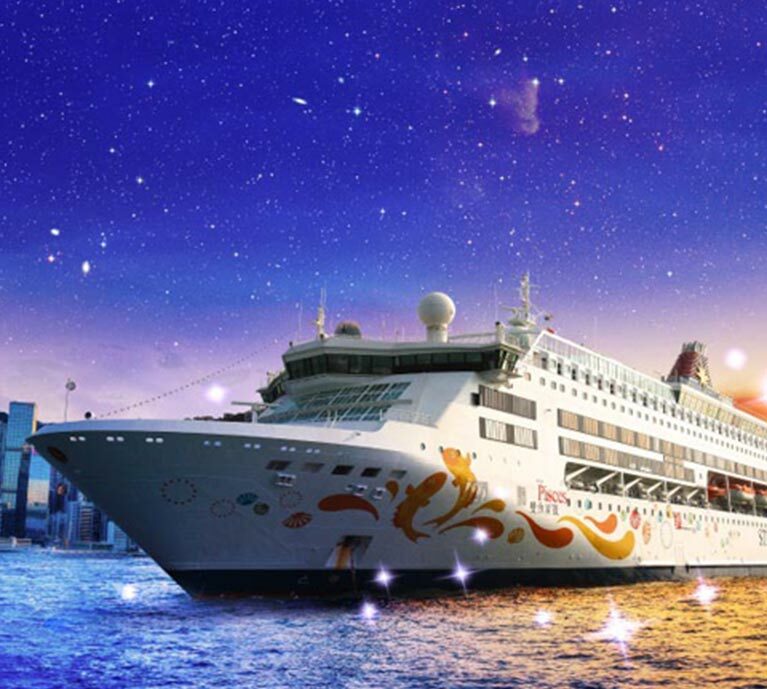 When it comes to quality holidaying, nothing can be more perfect than to spend vacation on an ultra luxury Star Cruises sailing through deep blue ocean and enjoying personalized services of highest standards. Cruise holiday is perfect for those who appreciate the finer side of life and want to experience true luxury. Experience of sailing over the ocean is super attractive along with numerous fun activities and limitless enjoyment. Aesthetic and comfortable rooms providing ocean views provide a different experience altogether that is difficult to describe in words. 1 Nights stay on Star Pisces Cruise –INSIDE cabin, 4 Nights stay at Hong Kong, 4 Daily Breakfasts at hotel, All Meals on cruise, Hong Kong City Tour, Cruise Transfer, Airport transfer, All tours & transfer on Seat in coach basis, Shared or Joined Basis. Copyright © 2019 DPauls.com. All rights reserved.